In November 2012, Themis was launched as the first research project of its kind in the UK. It set out to explore the impact of co-locating Idva services in hospitals. We wanted to develop the evidence base to highlight the benefits of stronger links between the health sector and domestic abuse services through innovative models. Themis builds on the findings of SafeLives’ report, Safety in Numbers, which recommended that the health response to domestic abuse needed to be strengthened. The report summarised extensive research into the negative impact of domestic abuse on the physical and mental health of women with both short- and long-term health consequences. In SafeLives’ report, Getting it Right First Time, nearly a quarter (23%) of victims at high risk of harm and 1 in 10 victims at medium-risk went to Accident and Emergency (A&E) because of acute physical injuries. If domestic abuse were to be responded to effectively when identified in hospital, wider and more detrimental costs could be minimised and harm to victims and children avoided. In the current climate of budget cuts, the value of researching, smarter and more cost-effective interventions for domestic abuse is obvious. Evidence from research studies exploring the effectiveness of health professionals asking about domestic abuse shows that without a service to which they can immediately refer, such as a hospital-based Idva service, the opportunity to intervene will be ignored or ineffective. SafeLives initiated the Themis research across four geographical areas, examining five English hospitals that had adopted the approach of locating specialist domestic abuse services within their A&E and Maternity units. 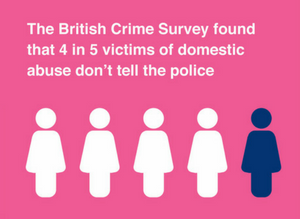 In each of the four areas, a comparison group of domestic abuse victims from a community domestic abuse service was also recruited. We interviewed: hospital staff, hospital-based Idvas, Idva Service Managers and Commissioners at all sites to understand how the service works in practice, and establish learning points in relation to the effectiveness of the model. Themis presents the first multi-site evaluation of hospital-based specialist domestic abuse services conducted in the UK. The project reached a total of 692 hospital victims and 3,544 community victims in the three years we were collecting data. 1. Who are the victims accessing help through hospital-based services compared to domestic abuse services based elsewhere? 2. What do hospital-based Idvas do compared to those based elsewhere? 3. What impact on victims’ risk, safety, and health and wellbeing do hospital Idvas have compared to Idvas based elsewhere? 4. What are the barriers to basing domestic abuse services in hospitals?